Home Casino Strategies Optimal bet size when playing with online casino bonus. As you know, every online casino takes into account that without bonuses they won’t get too many players. That’s why they do offer online casino bonuses so often. But players, when they decide to take a bonus, have to remember, that it’s not just free money, and they will have to complete minimum wagering requirements in order to be able to cashout remaining winnings. Usually it means that player must place certain amount on game tables. Any experienced player knows that wagering requirements is not an easy thing to complete. Today standard sign up bonus has at least 15 times (deposit + bonus) WR. It means, that if they decide to deposit $100 and then get $100 bonus – they will be required to make $3.000 in bets. Most of deposit bonuses are “slots only” and there are no strategies for them to play with. But it’s not the biggest problem. After taking a bonus players have to decide how much money per spin they are going to bet. Betting too much will kill their bankroll very quickly. 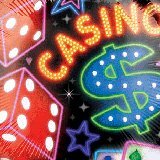 Of course, with $200 spins wagering requirements will be completed in 15 spins, but the chances to bust are much higher. Betting $0.20 per spin is safer and probably you won’t even loose 50% of your bankroll, but it will take ages to clear the bonus. To use an optimal bet size when playing with bonus, just remember that the average percentage return for every online casino slot approximately 95%-98% which means that for every $100 wagered casino will take $5-$2. 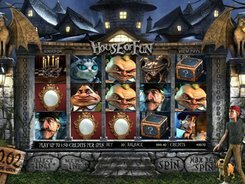 But every slot has its own variance, and the percentage is valid only in a long run, and most players will bust before completing WR if they won’t make at least 200 spins, which is considered to be a “long run”. 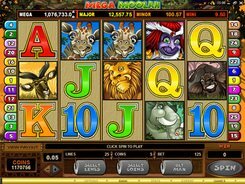 Considering that player prefers mid and low variance slots, we could expect free spins or bonus feature once in 120 spins. Playing with an example given above, if player made a $100 deposit, got $100 match bonus and has to place $3.000 to clear the bonus, maximum allowed bet size is calculated as $200 bonus / 200 spins = $1. Of course, the number of bets will be equal to 3.000, but at least playing with optimal bet size it will help not to bust too quickly. Player also should be able to get several bonus rounds which could increase their chances to win.